Muddle pumpkin puree, honey and juice of 1 lemon. Add ice and bourbon to shaker and shake for 10-15 seconds. Add ice to two cocktail glasses and strain contents of shaker evenly into each glass. Top with ginger beer and stir gently. Garnish with a cinnamon stick. Yum! 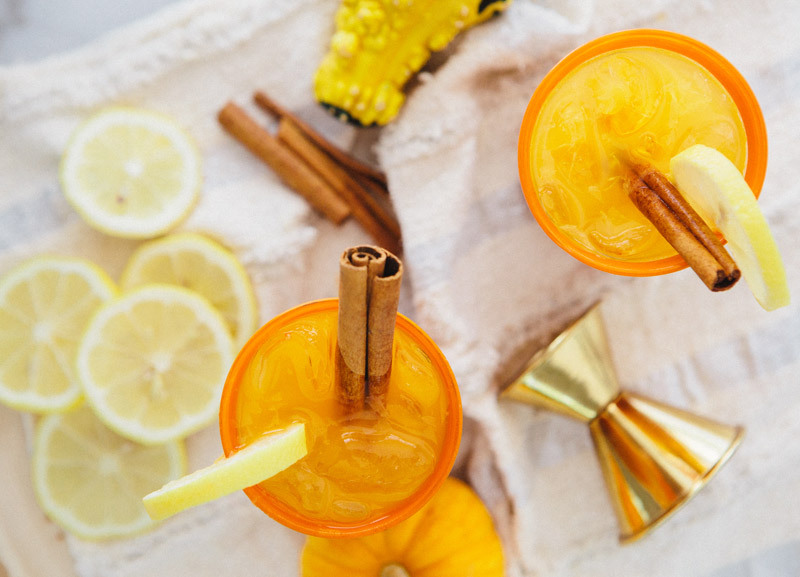 These look so good – the combo of pumpkin, bourbon and ginger sounds amazing! Beautiful colors too! Anything named Cocktail is good enough for me! This looks delicious! You always have the most beautiful pictures/photography of your recipes. All of my favorite flavors in one cup? Yes, please! The photographs are wonderful – the drinks look yummy! I recently moved into a new flat in a nwe city and still have plenty of boxes sitting around. It’s like my life is slightly on hold at the moment. But you get used to it! My brother suggestdd I might like this web site. He was entirely right. This put up actually made myy day. You can not consider just howw a lot time I had spent for this info! I am not a huge pumpkin person, but I must try this! oh my word. these are gorgeous!!! 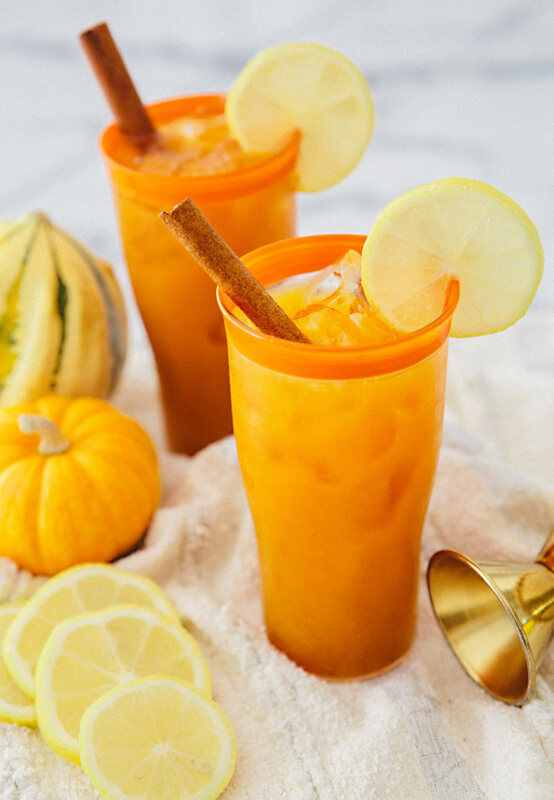 I never think to put pumpkin in drinks…but this has convinced me! Pinned! Making these this weekend. cheers! The color!! 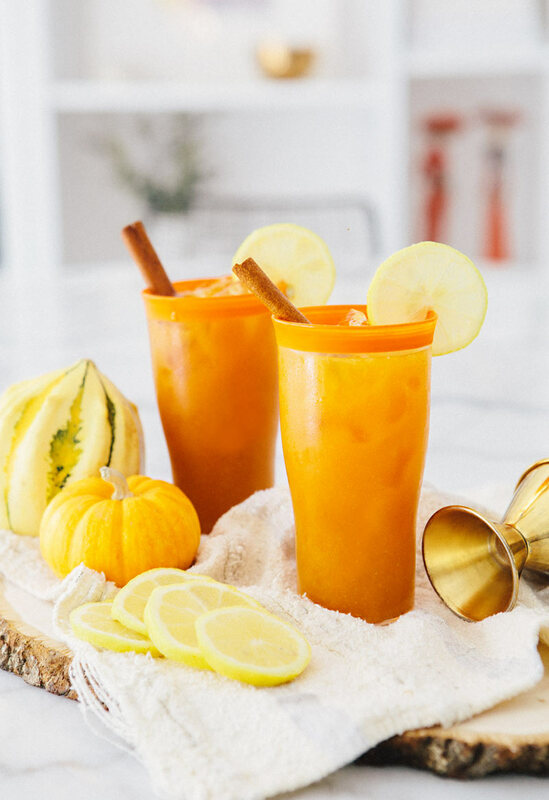 Such a great idea to use up leftover pumpkins in this pumpkin cocktail! I’m sure it tastes delicious!